Gas Companies are Contacting Landowners to Request that the Landowner Agree to Amend or Modify the Terms Contained in their Original and Active Oil and Gas Lease. Agreeing to Amend or Modify Your Existing Oil and Gas Lease is a Major Decision and Should Only be Made after Consultation with an Experienced Oil and Gas Attorney. Remember, anytime a natural gas or pipeline company wants you to sign any agreement or contract you must completely understand the agreement and any and all consequences that may result upon your execution of the document. Oil and Gas Lease Amendments and Modifications are another great example of this fact. Many gas companies across Pennsylvania are approaching Landowners and asking them to agree to Amend or Modify their existing gas lease. Lease Amendments and Modifications can take many forms and they must be carefully scrutinized. Many Amendments and Modifications are non-negotiable, but some lease Amendments and Modifications are negotiable and must be negotiated to maximize Landowner benefits and limit the negative impact of the requested lease modifications. When they are presented with a Gas Lease Amendment and Modification request, the first step is to evaluate and understand leverage. Equally important is that the Landowner fully understand the language in their original gas lease and the language of the requested Gas Lease Amendment and Modification. The Landowner must identify precisely what changes the Gas Lease Amendment and Modification presents and what are the likely consequences of their very important decision to accept or decline the Amendment and Modification. Lease Amendment and Modifications can be fairly simple or extremely technical and complex. Either way, all Gas Lease Amendment and Modification Requests present serious issues for the Landowner to consider and evaluate. Do not simply sign or reject a Gas Lease Amendment and Modification request without speaking to an experienced oil and gas lease attorney. A wrong decision on a modification request can result in very negative and long lasting consequences for the Landowner. 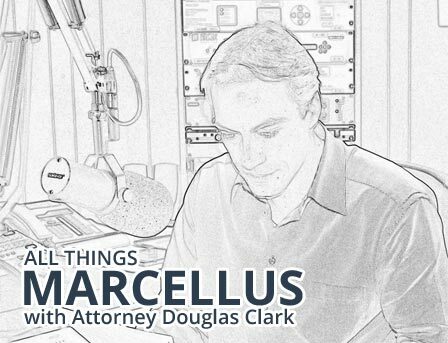 Attorney Doug Clark is Pennsylvania’s Landowner Lawyer. If you are presented with an Amendment and Modification to your current Oil and Gas Lease, Contact us today! As a landowner that learned as much as I could before retaining The Clark Law Firm, I then learned a lot more since retaining your legal counsel. We value your experience and professionalism with regard to ignorant customers like myself. We really had no idea what we did not know. I highly recommend your services to anyone that's sure of all aspects of signing an Oil and Gas Lease. The value of several tenets of several terms of our completed and executed Gas Lease far outweighs your cost for your services. We expect, over the life of our royalty earnings to be paid back for your counsel investment over 100’s of times the cost. THANK YOU, for your help in this very important matter!